Family-run hotel over the past 25 years. Located in Sandkås, just 3 km from Allinge. Enjoy beautiful panoramic views from the hotel restaurant and covered terrace. Indoor heated swimming pool and sauna. Various types of massage are offered. All rooms have a private bathroom and terrace or balcony and some of the rooms in the hotel have sea views. 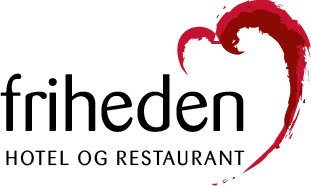 Guests at Hotel Friheden can enjoy a buffet breakfast included in the price. Guests can participate in various activities in the surroundings, including cycling, golf and hiking.